The latest iPad Air 2 and iPad mini 3 are now ready for purchase on Apple’s official online store. The new models were listed online over the weekend and its stocks are now available with shipping estimated within 2-4 business days. 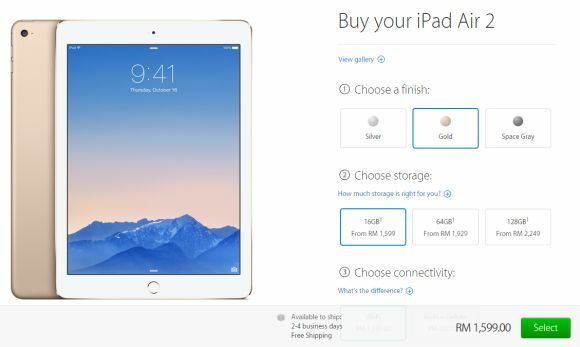 The 6.1mm thin iPad Air 2 is priced from RM1,599 while its compact 7.9″ iPad mini 3 is priced from RM1,279. 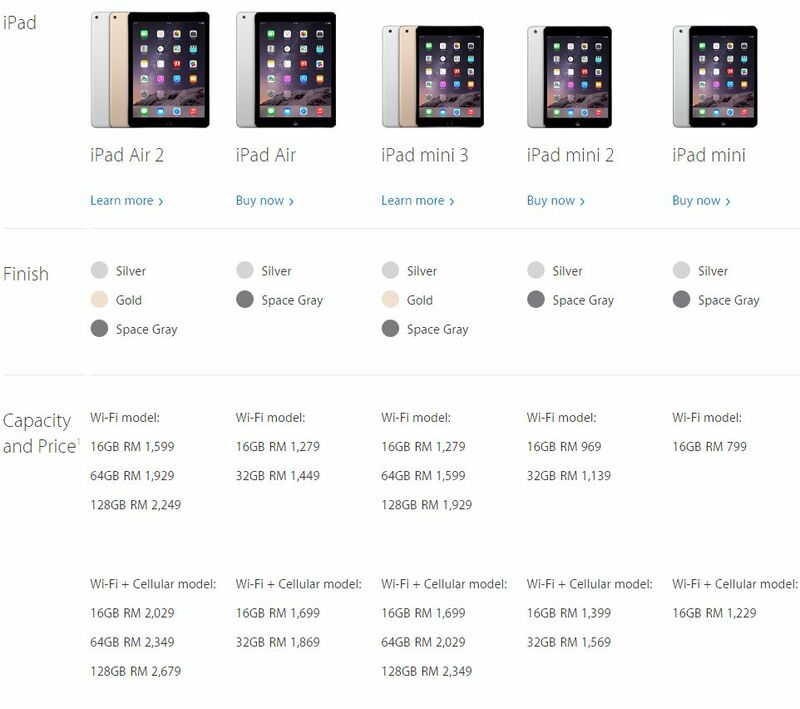 So in total, there are 5 iPad models to choose from and their previous models are now much cheaper than before. Their first gen iPad mini (without Retina Display) is their most affordable option at RM799 for its 16GB WiFi model. Spec-wise, the iPad Air 2 is their most powerful offering yet with a new triple-core A8X chip that’s mated to 2GB of RAM. According to some benchmarks, the iPad Air 2 offers up to 55% better performance than its current iPhone 6. Since the latest iPad Air 2 is super thin at 6.1mm, its on-board battery has been reduced from 8,827mAh (iPad Air 1st gen) to 7,340mAh but it still manages to deliver its famed 10 hours of battery life. Meanwhile, the iPad mini 3 is barely an update over the previous iPad mini 2 (formerly known as iPad mini with Retina Display). It still runs on the A7 chip that’s found on the previous iPad Air, iPad mini 2 and iPhone 5S. The only difference is the inclusion of TouchID and a new Gold Colour option. If you can live without the TouchID, you’re better off with the iPad mini 2 and save a few hundred of ringgit. SEE ALSO: ICYMI #65: Galaxy Note FE One UI update, iPad Air, iPad Mini, Redmi Go Malaysia & more! For more info, head over to Apple’s Online Store. Thanks jhnwoo for the heads up!